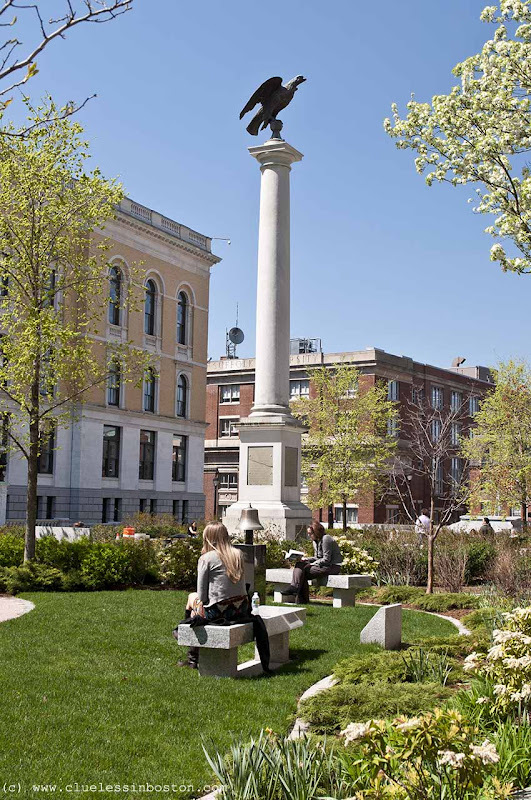 Column behind the state house was erected after the Civil War to commemorate Boston's glorious past and prospects. Nice place to sit for a while being watched by the eagle. Love it. What an imposing sight to have an eagle watching over the area.